Experience one of America’s natural wonders with a scenic helicopter tour of the Grand Canyon. This low-level flight takes you past the Hoover Dam, extinct volcanoes, and stunning Lake Mead, as well as over the glittering Las Vegas Strip. Your half-day tour includes a glass of Champagne at 3,200 feet (960 meters) below the canyon rim and allows plenty of time for an afternoon exploring after your flight concludes. 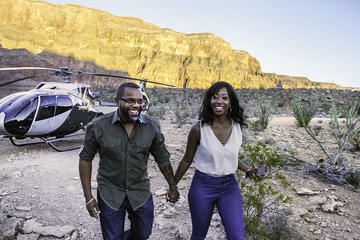 For those with limited time, this helicopter tour lands briefly inside the canyon for a glass of bubbly. Get an up-close look at the West Rim, Hoover Dam, and other local highlights on this popular tour in a state-of-the-art EC-130 helicopter. Hear commentary from your guide as you navigate red rock canyon walls and snap photos of stunning mountain views. There truly is nothing like flying through the Grand Canyon with the Colorado River beneath you. You'll stop 3,200 feet (960 meters) below the rim of the Grand Canyon for a glass of Champagne and a snack, and approximately 30 minutes of free time to explore this natural wonder. The views here are nothing short of spectacular. Your return trip includes bird's-eye views of the glittering Las Vegas Strip and limousine transport to your hotel upon landing. There is a maximum capacity of six people per helicopter, plus your pilot. Due to comfort and weight / balance of the aircraft, passengers weighing over 300lbs. will be required to purchase an additional seat. This is payable directly to the tour operator on the day of the tour. It was an awesome experience. From the time the Limo picked us up from our hotel to the time they dropped us off they made us feel special. Everything was special on this trip.  We have done many tours all over the world, and this was the best. Our helicopter pilot Chris was wonderful. We were treat like VIPs amazing trip and fantastic people worth every penny, Breath taking views. We weee picked up in a limo shortly after we got married and taken to the airport and we’re asked if we would like to use VIP longe which we did Sundance gave us free champagne which was completely unexpected absaloutly fantastic Thank you Sundance for making our trip even more special. The highlight of our trip to Vegas, amazing experience. Our pilot Erica was really friendly and informative. The views were spectacular and we will remember the trip for ever. Would certainly recommend it to anyone visiting Vegas. Took the early flight and got to see a beautiful sun rise, had breakfast in the Canyon and enjoyed every minute. Great Trip. Our pilot was great and we saw all the sights. Champaign and box snack were tasty. I recommend! The best part of Vegas trip! Would highly recommend! The helicopter has great views. The best way to see Hoover dam, Lake mead, The strip, and Grand Canyon in a short time. FABULOUS! Got to check off helicopter ride, Grand Canyon and Hoover Dam all in one trip! Travis our pilot was a great guide-and very entertaining. Super interesting guy-ask him questions and he will answer! Thanks Sundance Helicopters! just great - if you have made the effort to go to Vegas, you should complete the trip with this. For some reason the early morning trip is cheaper, but the light is great and if you have come from UK you will be awake anyway.